Over 100 ambulances have been sent to the scene. Ten people were killed and 73 injured on Sunday when a train derailed in northwest Turkey. 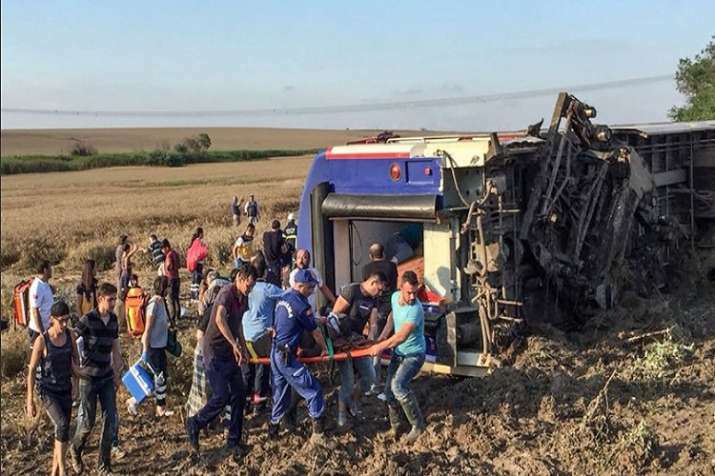 The train, with 360 people on board, was travelling from Kapikule on the Bulgarian border to Istanbul when six of its carriages derailed in the Tekirdag region. Over 100 ambulances have been sent to the scene. More details are awaited.